The overall goal of AWA project is to compliment efforts of Government of Sindh (GoS) in achieving “Right to Education” goal by contributing towards SDG 4.2 through introducing and improving the Early Childhood Care and Education (ECCE) services at 10 selected schools of District Badin. Funded by Open Society Foundation Institute, this project is implemented by Rupani Foundation in close collaboration with Departments of Education and Health of Sindh. 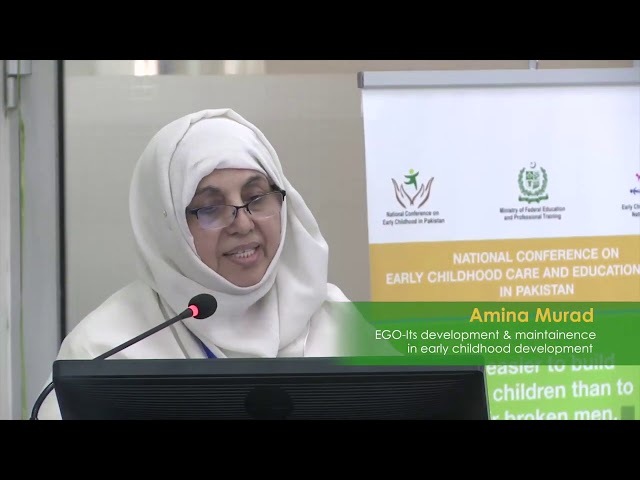 Agah Walidain-Informed Parents (AWIP) approach in Government Schools of district Badin is an Early Childhood Care and Education (ECCE) initiative that has engaged teachers and students at pre-primary and primary schools to improve quality of ECCE service. Furthermore, it has worked on parental involvement in Early Childhood Care and Development by engaging families, caregivers and communities from prenatal to three years of age. 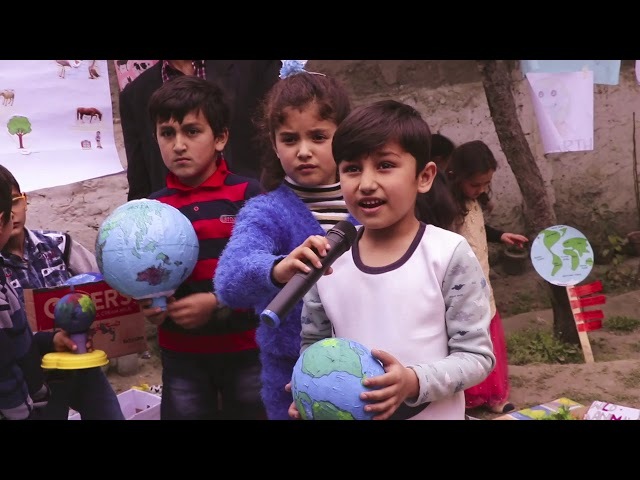 In Pakistan, 9.45 million children at the primary level are estimated to be out of school in 2015 according to the National Human Development Report (NHDP). Whereas, the overall literacy rate of Pakistan is 54pc in which 66.25pc are male and 41.74pc are female. These disparities in education further aggravate the economic and social development in the country. Though Early Childhood Education is incorporated in National Education Policy of Pakistan 2009 but it is relegated to lower priority list in line of action. Preprimary education is hardly prioritized in national policies formulation. Early Childhood Development (ECD) generally refers to the period from conception to eight years. Relevant skills and behaviors ingrained in this period allow children to function and adapt effectively according to the environment in which they live and grow. According to UNICEF, the rate of return in investing in childhood programs is 13.7%, which results in “better education and health outcomes, lower crime and higher individual earnings”. The formative years of a child demonstrate rapid brain growth; these years lay the foundation for subsequent learning and development. Project Umeed is executed by Rupani Foundation in the Sindh’s rural areas. In this project, Umeed ECD centers were established at Community Based Schools (CBSs) located in small villages of interior Sindh. The project design was customized to provide age appropriate facilities and learning materials, and encourage parents to actively participate in their children’s early development. The target beneficiaries are underprivileged segments of the society. Umeed (Hope) is a grass-roots level Montessori based ECD programme for the age group of 3-6 years. Given the critical period of the early years, Umeed aims to provide the children with a stimulating environment that is conducive to their holistic development and enabling them to reach their full potential to excel in practical life. Umeed provides age-appropriate facilities with a nurturing environment where they can learn through concrete experiences and reach to their utmost potential. Foundation also highly encourages active parental involvement in classroom settings. RF has targeted16 rural based Community-Based Schools (CBS) in Sindh. Its pilot program was successfully implemented at the Khyber Community Based School where it caters to over 100 students each year. Significant measures were taken to involve members of the local community to volunteer and participate. The project is targeting marginalized families to allow potentially brilliant minds to develop and access quality education, as well as establish programs that are sustainable through community ownership and participation. Children through this program will have a higher chance of entering primary school, with higher performance rates and a lesser chance of having to repeat grades or drop-out from school. Currently, 5 Umeed centers are catering services in Sindh and around 932 families and children are enrolled in the program. Project Umeed envisaged to evolve its targeted constituency over time to cover all the grades in each CBS school so that a child that enters the school into its program gets to continuously benefit and grow until graduation. Mr. Ahral s/o Jamsheed is a resident of Gitch, Punial. He lives with grandparents, uncles and aunt. Jamsheed, Ahral’s father works as a driver whereas Mrs. Jamsheed is a housewife. Ahral was enrolled at AWIP center Gitch on 2nd April 2018. Since the beginning, FSM Ms. Farhana observed that Ahral has the tendencies of an introvert; though intelligent he used to avoid social circles and class group learning activities. The FSM confided his mother regarding the attitude of her child as a result she assured of her support and agreed to work on his social development. To counter he impediment, FSM started to administer special attention to the student and encouraged his participation in all the class activities. She engaged him in daily activities such as poem time, art time and dance time and appreciated him in front of the class. Meanwhile, FSM also motivated his mother to give her undivided attention to her son at home and avoid usage of disheartening or harsh language. She also asked mother to involve him in different activities that will boost his inner abilities. FSM shared key messages to his mother that child absorb everything from parents, happy parents are likely to have happy kids, while children of depressed parents suffer twice the average rate of depression. Advice and guidance on child development helped Ahral to improve his overall behavior and with the passage of time he started interacting with his other class fellows. Resultantly, after one month’s period a positive change was observed in Ahral. Now he independently participates in all activities and actively attends regular sessions. In regular sessions he greets every one, and performs all activities passionately. As his mother recounts; all family member are inspired by his positive attitudinal change. Alhaad Yakeen S/o Shah Yakeen belongs to Das Japukay, situated in Ghizer district of Gilgit-Baltistan. He was enrolled at Agah Walidain-Informed Parents Gitch on 4th September 2018. He lives in a joint family system, his mother is a house wife and father is a government employee. Initially when he joined AWIP center FSM observed that he is an intelligent student and socializes with ease with his peers. But there was just one issue, whenever Alhaad used to enter his classroom he started to cry. He called out his family members names and demanded to be sent back to his home. He used to behave stubbornly and refused to play with toys or read books. As his mother accompanied him to class, he adamantly stayed in her lap. To counter this impediment, FSMs pondered on and devised a strategy. According to the plan FSM started to gave special attention and time to discover his interests. Afterwards, gradually they engaged Alhaad in class activities, encouraged him whenever he attempted to do something new. His class also clapped for him on his participation. FSMs also guided his mother on how to encourage her child to participate in family events and celebrations. However, after one month he has gradually improved social skills as now he performs well and actively participated in the regular session and sits calmly in the absence of his mother and takes interest in others activities as well. His Mother shares ‘now Alhaad reminds me of school timing and happily gets ready to reach the centre’. His parents are very glad to see their child learning well. When he comes, in regular sessions he shakes hands with teachers, children and mothers. Now he is performing exceptionally and independently participates in all activities. Nur-ul-Ain d/o Abdul Hameed was enrolled at Early Learning Model Center on 23rd February 2017. At the time of her enrollment she was very sensitive and shy and used to cry most of the time in the class and refused to respond or interact with the teacher as well as class fellows. She used to adamantly remain in standing position during the entire class exhibiting secluded behavior. Furthermore, she exhibited aversive behavior towards any form of noise; she used to cry on excessive sounds. Moreover, she developed her motor skills a little late as she could not hold the pencil properly and often used to write around the margin and not on the exact position. Nur has remarkably improved with the passage of time. Meanwhile, I had been very patient and optimistic regarding her progress. She can pronounce and write three to four letter words easily and confidently. Further she has boosted her self confidence as she complains about other students whenever she has an issue. She has improved her social skills as well such as pair and group tasks, interaction with the teacher and general interaction with peers. I observe her taking permission from other students and using courtesy words for interaction such as “Sorry”, “Thank you “.She takes permission from the teacher before doing any task in the class like asking permission for using materials. During outdoor time she takes part in different activities along with other students. Having been through vicissitudes of life, Nasir came to realize that if one believes in one’s skills then whole universe conspires to support his way. In his childhood, Nasir started to support his 4 sisters and 2 brothers by opening a shop when he was studying at grade 10. Their parents have migrated to Gilgit some 45 years ago from Sumayyar, Nager. Being inhabited in mountains, Nasir was interested in rocks and gems from childhood. His father narrates Nasir, “used to bring colourful stones from the mountains that arouse his curiosity”. Things changed dramatically when he was selected by RF for six months training in gems and gemology in Peshawar. “Surrounded by mountains we were ignorant about gems potential in Gilgit-Baltistan, Rupani Foundation aroused consciousness about the gems and meticulously trained us in this sector” opines Nasir. Faced with the difficulties to train women in his native village ‘Sumayyar’, he struggled a lot to mobilize people in this sector. He was able to intervene in the community and opened gems and jewellery shop in his native village. By dint of hard work, he was appointed by Rupani Foundation as Master Trainer in one of its centre. Reflecting on his journey of life he states “there is hidden potential in every human being, one needs helping hands, Rupani Foundation has transformed my life and I am further spreading the RF message through skill development trainings”. Mr. Nasir now runs his own gems cutting centre along with his partners, all of them were trained by Rupani Foundation. Due to increase in demand of their products he is interested in employing 15 gems related individuals at his entrepreneurial venture. Dexterity never hides in the face of calamity rather it steers its way in tumultuous ocean of opportunities to the isle of perfection. “I never thought about joining the gems and jewellery sector until I applied for the scholarship in gems cutting provided by the Rupani Foundation” reflects Mr. Zahoor hailing from Oshkhandas, Gilgit. Mr. Zahoor has served as a master trainer in Rupani Foundation and currently involved in his own entrepreneurial venture. Gems market in Pakistan has not been an industry in technical terms and it has a long way compete even within South Asia. That’s why people are reluctant to invest in this sector as a viable business opportunity. Due to increase in awareness about gems and minerals provided by NGOs like Rupani Foundation, people now started to pour into gems sector. Mr. Zahoor got his early education from Karachi and did his intermediate from Gilgit. After getting one-year extensive training under auspices of Rupani Foundation “capabilities transformed and skills enhanced because I can see opportunities which otherwise were oblivious to me before the training” Zahoor opines. Having scarce resources he initiated his own business: his aim was to develop a product that must also cater local customers along with exports. It is his view that “by creating a niche in the local market by making local customer oriented price friendly product we can easily expand the business”. He is optimistic about gems business as demand for their products is increasing day by day and is planning to export gems/jewellery products to Canada. The dedication of Zahoor caught the eye of Rupani Foundation and they send him to Afghanistan for six months advanced training in gems cutting and polishing. While serving for Rupani foundation in 2012-2013 he opines “I learned a great deal of marketing strategies that equipped him with intricacies of the market”. Currently, he is running gems cutting and polishing business centre in Gilgit and ambitious to translate it to other areas of Gilgit-Baltistan. Most of the people in Hunza are involved in the farming as a means of subsistence; Ms Fehmida too subscribed herself to the farming as a means to earn decent livelihoods. In recent years the agriculture sector in the whole Gilgit-Baltistan has witnessed great fluctuations in the market in terms of demand. Therefore people started to adopt alternative ways of generating income in addition to agriculture. Gems and jewellery emerged as first among all alternative way of generating income. Unsure about the taking step out of the agriculture sector, Ms Fehmida was indecisive until she was enrolled in RF gems and jewellery training. There is no certainty in life, which makes certain lots of possibilities to occur. That happened with Ms Fehmida when she heard about the RF training about jewellery making in Hunza. “I never thought about jewellery making as viable career, especially for women” she explained; she enrolled in four months intensive training in jewellery making in 2013. The training not only provided her with the necessary skills but also enhanced the self-confidence to undertake decisions in life. Master trainers at the training have great influence on her “they encouraged us to learn and earn maximum benefit from the training” she explained. The friendly environment at the training makes the trainee connect with the people who are involved in the gems sector. That is the reason why Ms Fehmida is currently working with a gems enterprise in Altit Hunza along with the colleagues trained under the RF. Ms Fehmida explains that she has contributed to her family through jewellery making. Family economic base has expanded which otherwise relied only on agriculture. There are lots of opportunities, she opines “It is a matter of right choice at the most opportune time”. Her ambition is to start her own business and contribute to producing skilfull women entrepreneurs across Gilgit-Baltistan. Sponsoring a child is a personal way to show one’s affection to a child in need. You can help the child and their community to stand tall, free from poverty. Training of Trainers on Early Childhood Development Diploma & Certificate course has concluded after 2 weeks. This event was a joint venture of #RupaniFoundation and #KarakoramInternationalUniversity that was agreed upon through an MoU during the first Seminar on Early Childhood Development. Art is an expression. 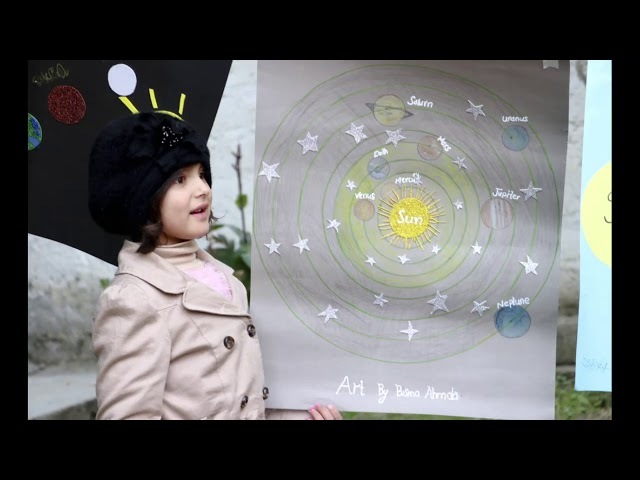 Discovering potentialities and providing the opportunities to express is at the core of the #earlylearningmodel goals. Parents observed a set of diverse Art creations. Presentations, displayed Play cards, charts, and Art models captured the visitor's attention. The First ever Conference on Early Childhood Care & Education was organized by the Ministry of Federal Education and Professional Training, Rupani Foundation, Allama Iqbal Open University, and development partners on March 28, 2017. State minister for federal education and professional training, honorable engineer Muhammad Balig-ur-Rehman inaugurated Rupani Foundation’s established Early Learning Model (ELM) center in Gilgit on 27th of August 2016. Honorable minister showed his high appreciation for the efforts that Rupani Foundation is putting forward in ECD sector. 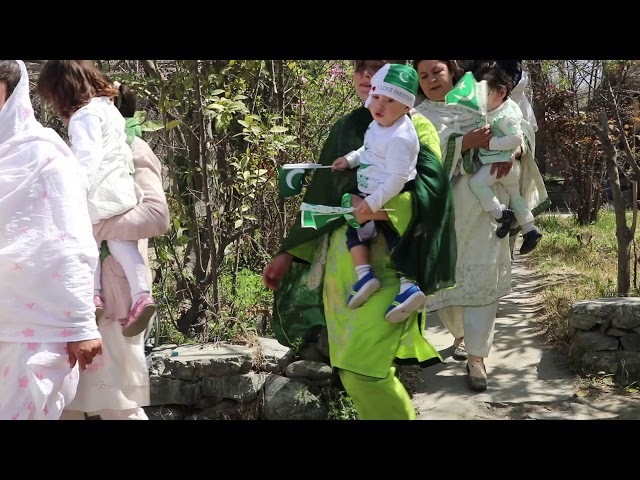 Early Learning Model (ELM) students’ final assessment day was celebration with parents at ELM center Gilgit. In this event, the everyday assessment and activity booklet of all students were shared with their parents. In addition to this, ELM team granted awards to the children under various categories including: music smart, language smart, art and craft smart, and more. The event took place on December 15, 2015. 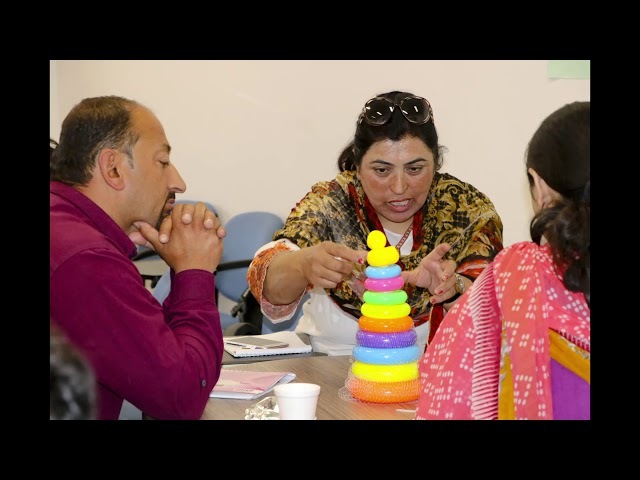 Program Manager Rupani Foundation, Sindh, after returning from a training in USA on Child Rights and Child Protection, organized a session in Community Based School Tando Muhammad Khan, Sindh, on the same theme. Rupani Foundation has been working in close collaboration with the Government of Sindh to supplement its efforts in mainstreaming Early Childhood Care and Education. Funded by the Open Society Foundation, Rupani Foundation is piloting Agah-Walidain Approach in 10 government primary schools of district Badin. Rupani Foundation Gilgit organized a month long training course for Family Supports Motivators (FSMs) of Agah Walidain new Replications 2018. Participants from 4 districts of GB, Gilgit, Ghizer, Hunza and Nagar were selected for this training course. Al Noor community in Karachi is a migrant population with 130 households and 780 individuals. Majority of the population is associated with low income professions or relies on daily wage laborious tasks. Resultantly, they fail to suffice economic grievances of the people.